BRIDGEPORT, NJ – The Bridgeport Speedway will see action this Sunday with a triple header show sponsored by BRB Contractors of King of Prussia, PA. 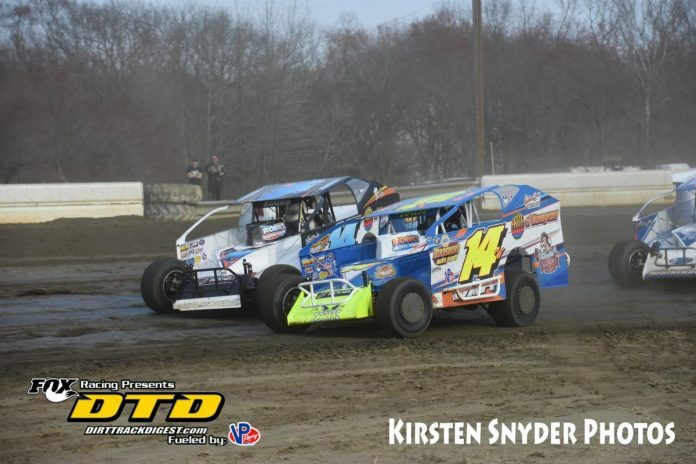 This event will feature the Spirit Auto Center Big Block Modifieds, the South Jersey Overhead Door 602 Crate Sportsman and the season opener for the winged warriors of the Capitol Renegade United Racing Club (URC) . This will be the only event at Bridgeport for the month of April before the speedway returns for weekly Saturday night racing on May 5th. The Spirit Auto Center Big Blocks will receive a purse increase for this Sunday’s BRB Contractor’s sponsored event. The Modifieds will now race for $3,000 during their 25-lap feature event. Many of the drivers that participated in the ‘Doug Hoffman Memorial’ are expected to return for this special Sunday matinee program. Meanwhile, the South Jersey Overhead Door 602 Crate Sportsman will also race for a little extra cash on Sunday. The drivers of the 602 class will be gunning for cool $1,000 to win courtesy of Precision Hydraulic. All non-qualifiers in the 602 Crates will also receive $50 tow money for their efforts on Sunday. Bob Lilick is the owner/operator of BRB Contractors and has been involved in auto racing for many years, fielding multiple cars in different divisions of racing for his sons. BRB Contractors is an industrial, commercial and residential demolition, excavattion and paving company and has been in business for over seventeen years. Contact BRB Contractors for all of our construction needs by calling (610) 275-0768. Josh Weller, of Mertztown, PA, captured his first championship for the 2018 racing season when he captured three victories throughout the season. Weller has rebuilt his No. 63 for the new season and is looking to defend his title as the 2019 season gets underway. And the season opener couldn’t be at a better place than the Bridgeport Speedway where Weller has several victories in recent seasons! He will have plenty of competition though as drivers like Curt Michael, Ryan Quackenbush, Eddie Strada, Troy Betts, Adam Carberry, Chris Allen Jr. and others also have their eye on the prize. Bridgeport fans will have the added bonus of seeing reigning Big Block Modified Champion, Ryan Watt, strap into the Tim Hogue owned No. 39 to compete with URC. Watt will be doing double duty on Sunday as he also fields his Ron Roberts Racing No. 14w in the Modified ranks. 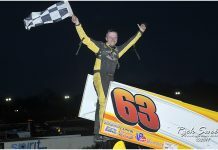 Billy Pauch picked up the sixty-third Bridgeport victory in the 60 Over-Doug Hoffman Memorial Race to open the 2019 Bridgeport season while Steve Kemery was the first winner of the year in the 602 Crate Sportsman ranks. Pit gates will open at 1:30 while fans may enter the grandstands starting at 3pm. Racing gets underway at 5pm. Come early and take advantage of all that the Bridgeport Speedway has to offer. Enjoy the free musical entertainment or ride the Bandit Bus to get a look behind the scenes as you ride through the pit area. Enjoy the many delectable delights that the refreshment stands have to offer. And don’t forget to pick up the latest copy of the Bridgeport Bullet – the official program of the Bridgeport Speedway. There’s all sorts of new Bridgeport Speedway souvenirs from decals to hats and shirts. We are Bridgeport – the only track in New Jersey to offer Big Block Modifieds; we are comitted to maintaining a safe, fun, family atmosphere, creating life-lasting memories of excitement.